Alphabet Letter K printable kindergarten worksheet. K for Kite. 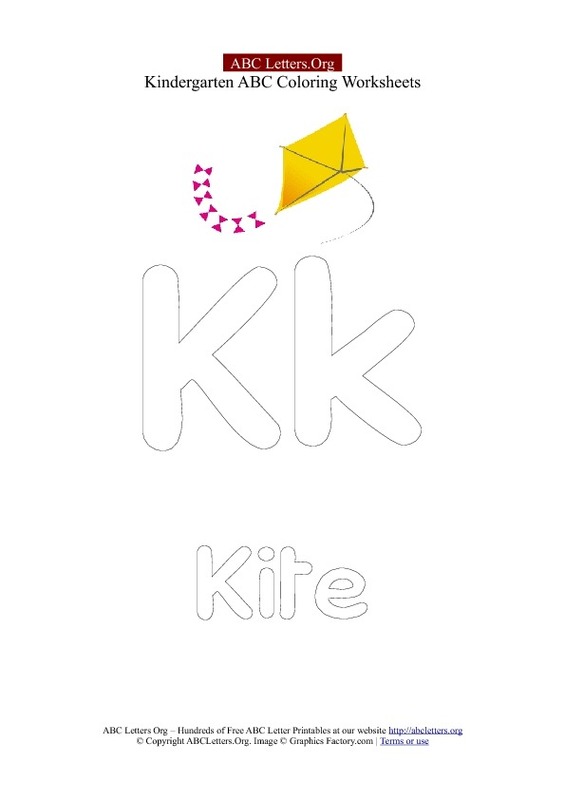 Color the Letter K.
Uppercase and Lowercase Letter K with a Picture of a yellow Kite flying in the sky. Learn the Letter K with this free printable letter recognition worksheet for kids. Fun educational ABC alphabet recongnition worksheets. Print this free worksheet below. Useful for children who are just starting to learn the alphabet letters. Part of our free A to Z kindergarten alphabets to print. Letter K in uppercase and lowecase to color. Step 2. Open the PDF in your web browser. Step 3. Choose "Save" to download the PDF template to your computer, or print it out on paper from your browser.